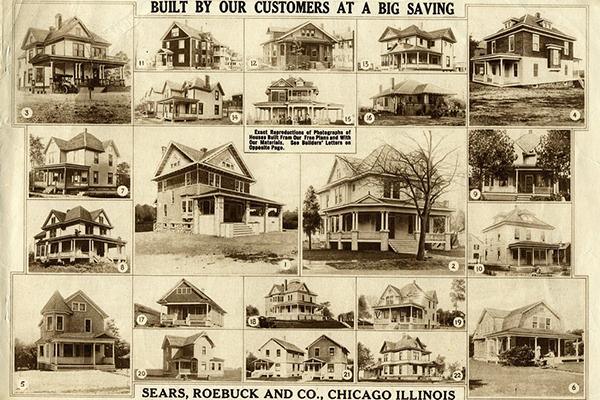 Sears Roebuck & company began selling buildings or components of buildings in 1895. 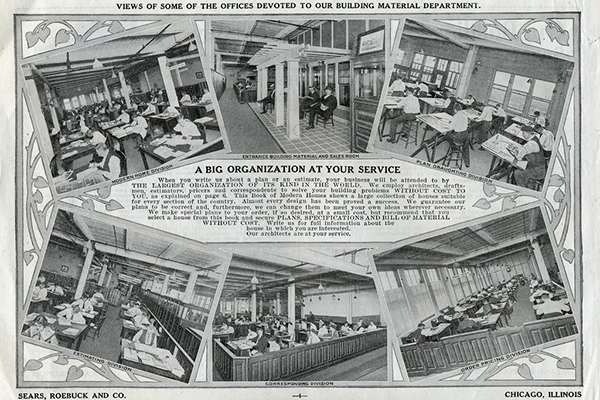 Some early experiments by Sears included selling a kit to build a complete school or office building. 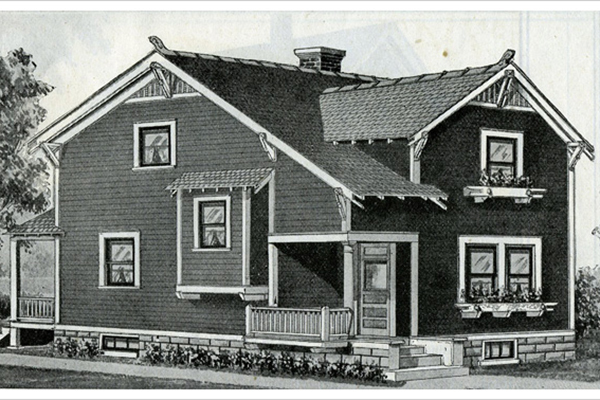 The first complete Sears Kit homes, that is, residences, were marketed by Sears & Roebuck in 1908, and eventually Sears offered 370 different models of residential homes, ranging from small bungalows at $500. (kit cost) to larger homes costing $5000. Buyers of a Sears Kit home saved about one-third of the typical construction costs of their era. 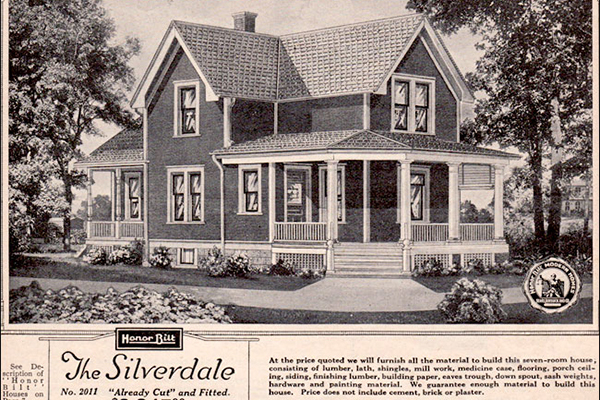 Beginning in 1929 the volume of Sears Catalog houses sold dropped dramatically. So it’s probably true that most of these homes were sold and built before that year, but it is certainly the case that the sale of some models continued to 1940. Sears, Roebuck & Company was also one of the largest manufacturers of the small rock face block machines. 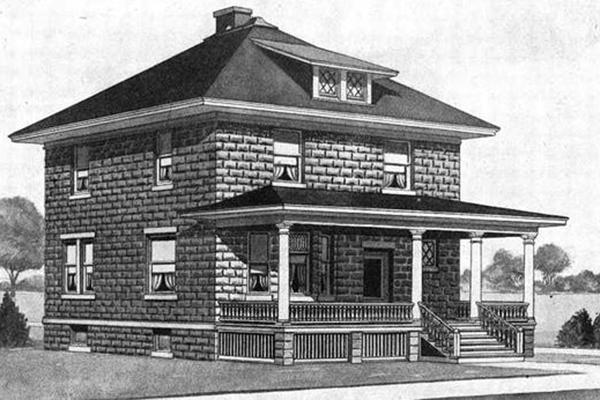 Hence, in many of the Sears home plans, rock face block is incorporated into the design. 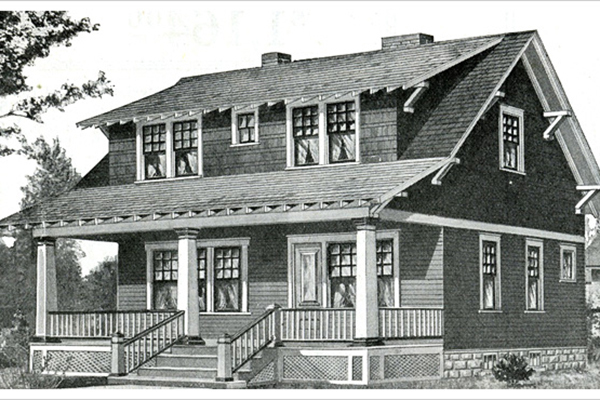 From small bungalows to large American Four-Square farmhouses, rock face block was used to construct anything from the foundation, to the porch, to the entire home. The block machines sold by Sears and the use of rock face block as a building material was promoted by Sears as a low cost alternative to natural stone and brick. They touted the insulating properties, its strength, its decorative appeal, and that it was fireproof. Sears marketed these machines not only to builders, but to individual home owners as well, stating that no professional experience was necessary to use their machine. Here is a great picture, not too far from us here in northeast Indiana, showing a builder who made his own rock face blocks using a Sears “Wizard” block machine. 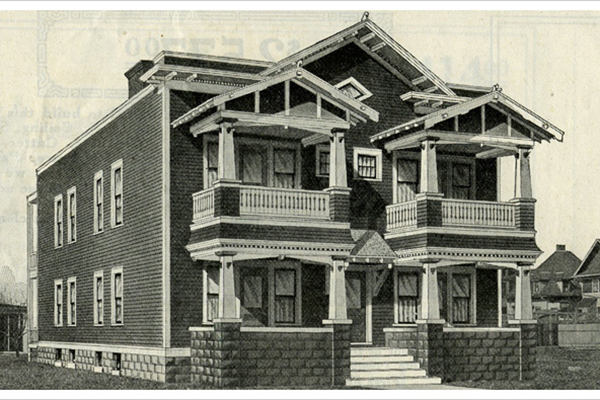 Sears Kit Homes used rock face block in many of their models. To learn more about these homes and their history look under the About section.